From the early years of fur trading to today's Silicon Valley empires, America has proved to be an extraordinarily fertile land for the creation of enormous fortunes. Each generation has produced one or two phenomenally successful leaders, often in new industries that caught contemporaries by surprise, and each of these new fortunes reconfirmed the power of fanatically single-minded visionaries. John Jacob Astor and Cornelius Vanderbilt were the first American moguls; John D. Rockefeller, Andrew Carnegie, and J. P. Morgan were kingpins of the Gilded Age; David Sarnoff, Walt Disney, Ray Kroc, and Sam Walton were masters of mass culture. Today Oprah Winfrey, Andy Grove, and Bill Gates are giants of the Information Age. America has again and again been the land of dizzying mountains of wealth. Here, in a wittily told and deeply insightful history, is a complete set of portraits of America's greatest generators of wealth. Only such a collective study allows us to appreciate what makes the great entrepreneurs really tick. As H. W. Brands shows, these men and women are driven, they are focused, they deeply identify with the businesses they create, and they possess the charisma necessary to persuade other talented people to join them. They do it partly for the money, but mostly for the thrill of creation. The stories told here -- including how Nike got its start as a business-school project for Phil Knight; how Robert Woodruff almost refused to take control of Coca-Cola to spite his father; how Thomas Watson saved himself from prison by rescuing Dayton, Ohio, from a flood; how Jay Gould nearly cornered the gold market; how H. L. Hunt went from gambling at cards to gambling with oil leases -- make for a narrative that is always lively and revealing and often astonishing. An observer in 1850, studying John Jacob Astor, would not have predicted the rise of Henry Ford and the auto industry. Nor would a student of Ford in 1950 have anticipated the takeoff of direct marketing that made Mary Kay Ash a trusted guide for millions of American women. 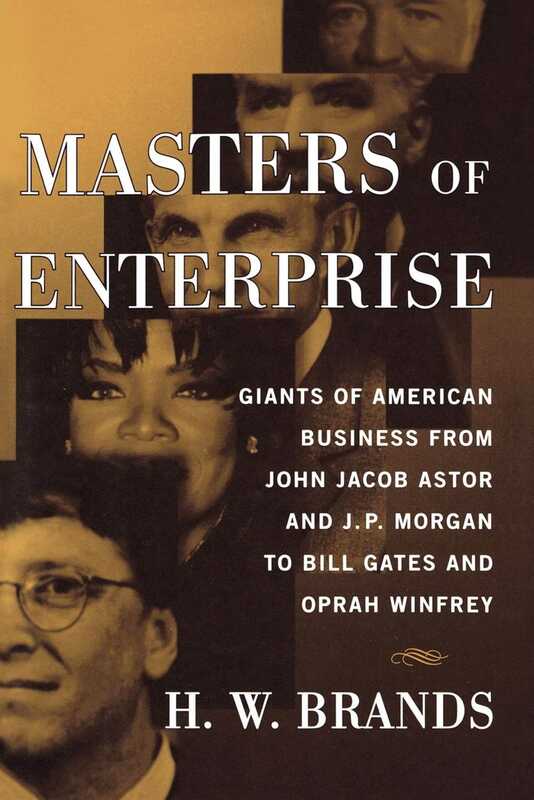 Full of surprising insights, written with H. W. Brands's trademark flair, the stories in Masters of Enterprise are must reading for all students of American business history.